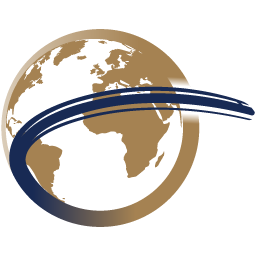 All Planet Rail vacations are tailor-made to suit your departure dates and requirements. When the snow starts to fall Switzerland is transformed into a magical winter wonderland. Take the unforgettable journey through untouched mountain scenery, past snow-capped mountains and deep gorges to charming mountain lakes and picture-postcard villages, blanketed in snow on this superb 7 night holiday. Switzerland truly has a wealth of wonders to explore, best enjoyed from the comfort of a network of awe-inspiring scenic rail excursions. 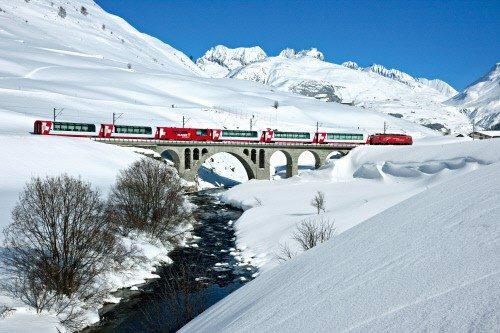 Take advantage of our included Swiss Half-Fare card which entitles you to 50% off most of the rail fares on the Swiss rail system and allows you to make the most of Switzerland’s majestic beauty and breath-taking scenic rail journeys. Experience 3 of Switzerland’s most spectacular, world-renowned rail journeys on this fantastic 7 night holiday by First Class rail from $2,249 per person (based on two people sharing a twin/double room) and from an additional $279 per person, including the stunning journey from Montreux to Jungfraujoch on the Jungfrau Railway to the highest station in Europe and return on the Golden Panoramic Express. Enter London St Pancras International station, the gateway to your glorious scenic rail journey. Admire one of London’s greatest Victorian buildings, housed beneath the splendour of its magnificent arched-glass roof, before making your way to the Eurostar check-in. 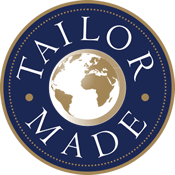 Feel yourself unwind as you pull away from the bustling metropolis, through Kentish countryside, across to France and on to Paris. On arrival at the Gare du Nord, a private taxi takes you across Paris to continue your journey by comfortable high-speed TGV service for your route through France, into Switzerland, and along the glistening Lake Geneva to the quaint lakeside town of Montreux. The ideally situated and extremely comfortable Grand Hotel Suisse Majestic is located directly opposite the station and is your hotel for the next 3 nights. Make the most of your favourable lakeside location this morning before perhaps taking a relaxing stroll through Montreux. This afternoon you might like to take the rack railway up Rochers-de Naye to enjoy glorious panoramic views of the area and catch a glimpse of the ‘Marmot Paradise’. 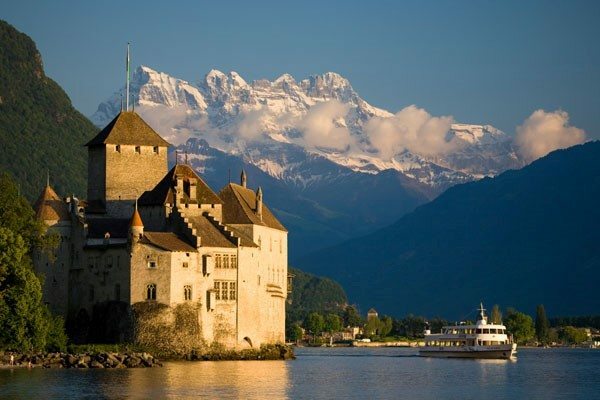 Alternatively take the short journey aboard the trolley bus to the historic Château de Chillon. Marvel at the complex mosaic structure of over 100 independent buildings gradually connected over time to become the fairy-tale castle structure we see today. Savour the mesmerising crystal clear lake and snow-clad mountain landscape from the foot of Lake Geneva before you return back to Montreux for the evening. This morning you join the Golden Pass Line panoramic train for a memorable journey south across a unique and diverse landscape through the Valais region to Visp. 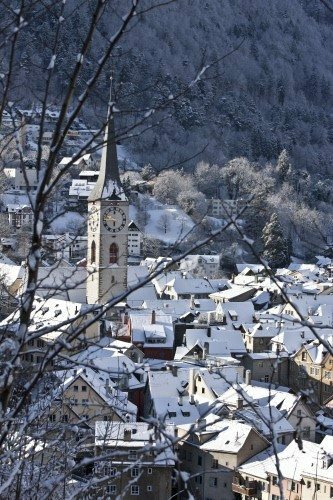 You then travel north into the wintry white picturesque Bernese Oberland to Spiez and on to Interlaken aboard comfortable regional trains. Climbing higher from Interlaken, your train conveys you a further 2,800m higher, through a contrasting landscape of majestic mountain peaks and fascinating glaciers, over some sections of cog-wheel railway, to the spectacular Jungfrau Railway (supplements apply) and on to the highest railway station in Europe at 11,333ft. Experience a high-Alpine wonderland of ice, snow and rock from the viewing platforms on the Aletsch Glacier or in the Ice Palace. The ‘Top of Europe’ also features its brand new ‘Lindt Swiss Chocolate Heaven’ where you can indulge in the fascinating world of Chocolate in a truly unique setting. This afternoon enjoy a dramatic descent via Grindelwald before joining the Golden Panoramic Express train, as it meanders along the crystal clear waters of Lake Thun, before ascending again to just over 1,200m above sea level. Enjoy a snack and a drink as the glorious Alpine landscape passes before you. You travel through valleys dominated by the stylish ski resorts of Château d’Oex and Gstaad before your descent to Montreux. 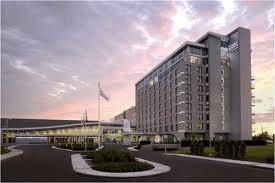 As your memorable day comes to an end, gaze out on fabulous views of Lake Geneva and the soaring snow laden Swiss Alps. Savour your final morning in Montreux before you travel south-east to join the Glacier Express. This iconic journey is at its most dramatic in winter, as the narrow-gauge train climbs up the Rhône Valley, past frosted mountain peaks, tiny snow-bedecked hamlets and rushing streams all blanketed by a glistening covering of snow. Your journey then spirals upwards over the Oberalp Pass at 2,044 m. Enjoy your included on-board lunch from your First Class seat while you admire the passing scenery through the panoramic windows. The landscape changes to snow-white pastures and silent woodland as the train descends into the Rhine valley and on to Switzerland’s oldest city, Chur. Your hotel for the next three nights is the comfortable, family-run Romantik Hotel Stern (3 star), ideally located in the old town. Excitement builds this morning as you board the Bernina Express in Chur for awe-inspiring views from your First Class panorama car as you travel across bridges and graceful viaducts, through galleries and switch-back tunnels hewn into the rock, past frozen waterfalls, deep ravines and rushing mountain streams. You journey loops and spirals down into the Engadine Valley before climbing to an altitude of 2,328 m to the Bernina Pass without the help of a rack-and-pinion mechanism. Experience the tranquillity of the beautifully exposed landscape before descending into the quaint, Italian-speaking town of Poschiavo. 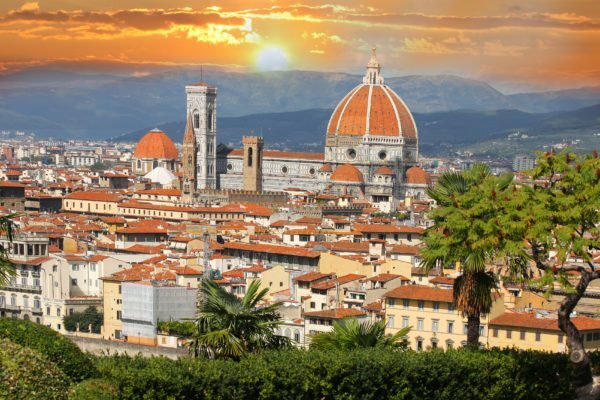 Take time to wander the narrow, picturesque streets, and admire the architecture of the churches and palaces which provides a glimpse of the town’s turbulent history. Perhaps enjoy some lunch in a local café or restaurant before re-joining the train for the spectacular return journey to Chur. You have one full day to explore the delights of the historic town of Chur today. Perhaps start at the vast 12th century cathedral before idly strolling through the cobbled streets and pretty squares. If you are feeling more adventurous you may favour a trip by First Class rail using your Swiss Pass to Lucerne. Here you can take the unforgettable journey on the world’s steepest Mount Pilatus cogwheel railway from Alpnachstad to the summit at Pilatus Kulm. The summit provides magnificent panoramic views of Lucerne and the surrounding region, which has been transformed into a winter wonderland. Alternatively you could journey east to gorgeous Lake Constance and join the Pre-Alpine Express for the scenic rail journey through the charming pre-alpine landscape, with its rolling hills and storybook villages nestled in the valleys, possibly stopping to visit the monastery and Old Town of St. Gallen (UNESCO world cultural heritage site). A final option to consider is the journey by mountain railway up the Schanfigg valley to the pretty resort of Arosa. Savour your final morning in Switzerland before you head north from Chur into Germany by Euro City train, via Basel and along the scenic Rhine Gorge to Cologne. Your hotel for the night, the 4 star Wyndham Köln, is perfectly situated in the centre of Cologne, near the city’s imposing Gothic cathedral and directly opposite the station. There may be time for you to explore the largest Gothic church in Northern Europe, which offers spectacular views from the top, or alternatively take a stroll through the old town or along the river Rhine. Make the most of your final morning in Cologne before you walk the short distance (100m) back to Cologne Hauptbahnhof, where you join the high-speed ICE service to Brussels. On arrival make your way to the Eurostar platform to join the Eurostar for your return to London. Relax over a meal and drinks served to your comfortable Standard Premier seat before you return to London St Pancras for the final stage of your journey home. 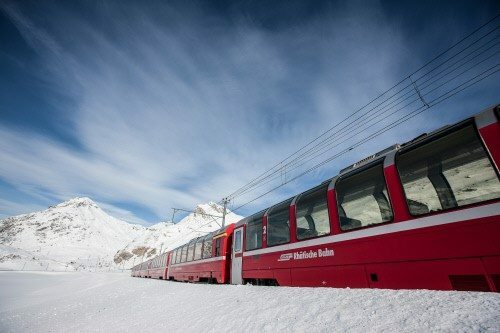 A Swiss Half-Fare card is included in the price of this holiday giving you a 50% reduction on most rail journeys and other public transport in Switzerland. A Swiss Half-Fare card is included in the price of this holiday giving you a 50% reduction on most rail journeys and other public transport in Switzerland (smaller reductions apply for travel on some Swiss mountain railways, such as the Rigi railway, Mount Pilatus and Rochers-de-Naye). The Grand Hotel Suisse Majestic is a traditional Belle-Époque 4-star superior hotel, originally built in 1870 and located right in the centre of Montreux, just a few steps from the Railway Station. 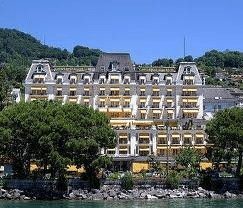 The hotel has 140 rooms and benefits from fabulous views of Lake Geneva and the Alps from its summer terrace. All the comfortable en-suite rooms in this stylish hotel feature air conditioning, television, minibar, radio and telephone. Available free of charge from reception is the Montreux Riviera Card which gives you free travel on the whole “Moblis” Montreux Riviera public transport network, 50% reduction on CGN boat cruises, city walking tour of Montreux and Vevey and 50% reduction on entrances to many museums and theme parks. 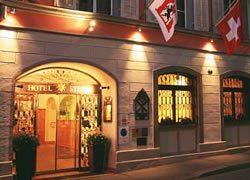 The Romantik Hotel Stern (3-star) is an historic hotel located in Chur’s old town. The combination of traditional features and modern comforts, with its restaurants, bar and lounge, make this family-run hotel a cosy, and attractive choice. All the comfortable en suite rooms feature TV, minibar, air-conditioning, radio, internet connection and telephone.